In late 1969, Robert Smithson travelled to Vancouver, British Columbia, to make his project titled Island of Broken Glass. Smithson planned to have 100 tons of industrial glass dumped on a small rocky island, then to use a crowbar to break the glass into small pieces. Over time, the sharp edges of the glass would become smooth, and in a few centuries the entire pile of glass would be reduced to sand. 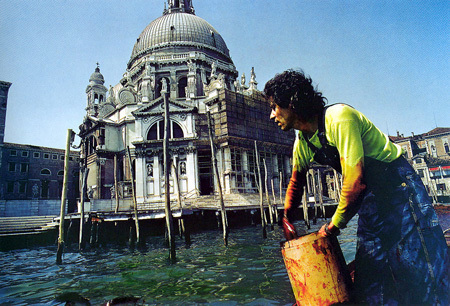 Nicolas Garcia Uriburu, Coloración del Grand Canal, Venice, 1968. Although the Canadian government had approved Smithson's plans for the project, Canadian conservationists violently objected to it on the grounds that birds and sea lions could be harmed by the glass. Faced with these protests, the Canadian government reversed its decision and denied permission for the project. Motivated by a fascination with entropy and planned obsolescence, Smithson considered changing the project to Island of Broken Concrete, but ultimately decided to abandon it. 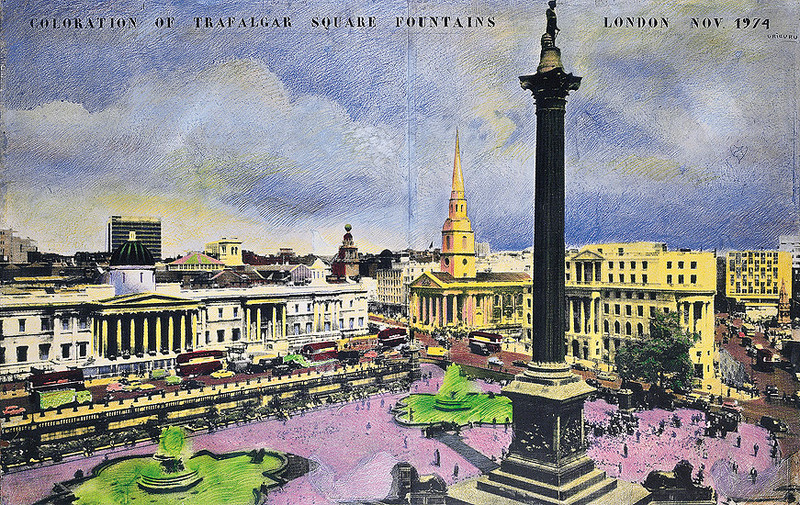 Nicolas Garcia Uriburu, Coloration of Trafalgar Square Fountains, London, 1974. More than a year earlier, in June, 1968, on the eve of the Biennale, the Argentine artist Nicolas Garcia Uriburu dyed Venice's Grand Canal bright green to protest its pollution. He was detained by the police but was released when he demonstrated that the chemical he had used was not toxic. 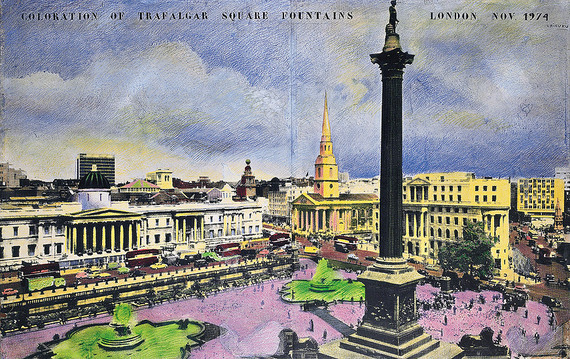 In the years that followed, Uriburu made similar colorations in the Seine in Paris, the East River in New York, the River Plate in Buenos Aires, and even the fountains of London's Trafalgar Square. 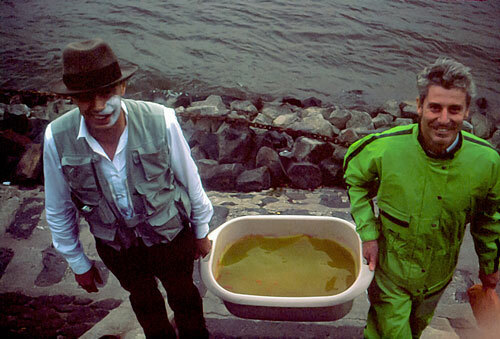 In Germany, Joseph Beuys joined him in coloring the Rhine. Nicolas Garcia Uriburu with Joseph Beuys, Green Rhine, 1981. Today, Robert Smithson is the celebrated innovator of Earth Art. But not ecological art. By 1969, when Smithson planned to make a particularly nasty form of pollution, he had already poured concrete down several hillsides. The true pioneer of ecological art in the 1960s was Nicolas Uriburu. Today, at the age of 77, Uriburu lives in Buenos Aires, where he has devoted more than four decades to making art defending the ecology of Latin America. He is only one among a number of Argentine artistic innovators who have been largely forgotten by the art world of Europe and the United States, but it is past time for the great museums of Paris, London, and New York to pay tribute to his bold and beautiful innovations in ecological art. 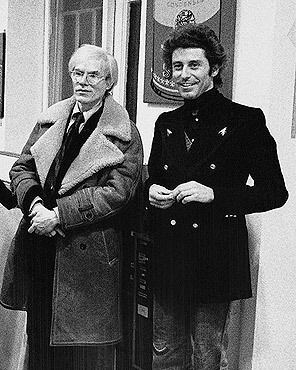 Nicolas Garcia Uriburu with Andy Warhol in New York, 1969.